Planning an off-site event? We’ve got the catering covered. 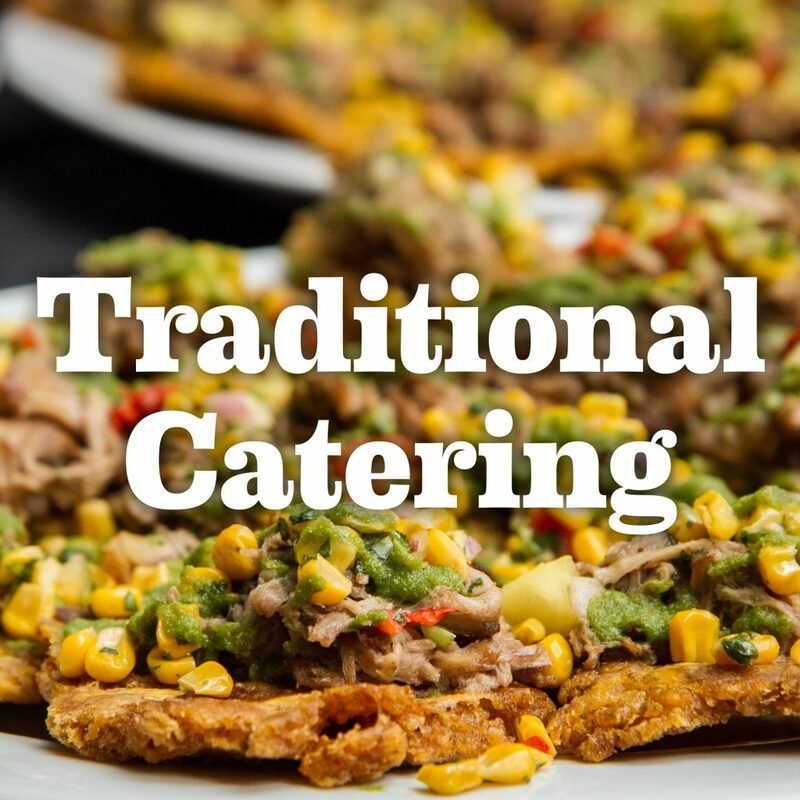 Whether you’re planning a business meeting with colleagues or hosting a party with friends, we have a variety of catering options to suit your event needs. Click here to download our package info or continue reading for full off-site catering details. Have a Paladar Taco Party! 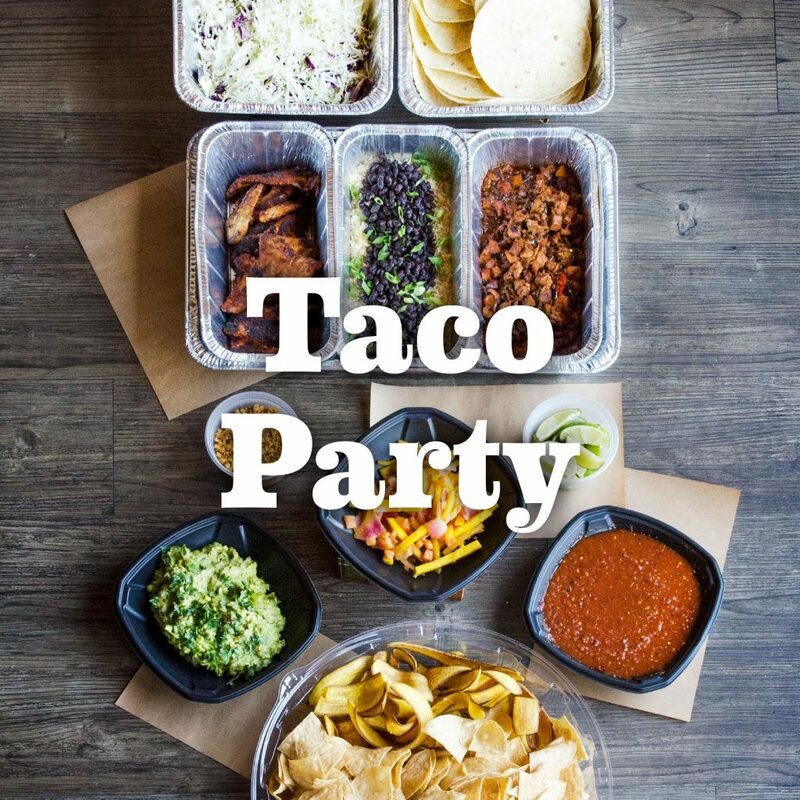 Choose two styles of tacos and enjoy guacamole, salsa, our housemade chip blend and frijoles – all the ingredients you need to take your event to the next level. Interested in going the traditional route? All items on our menu are available a la carte so you can pick and choose what’s right for you. Or, choose our Traditional Buffet for a packaged approach. Two tacos or a sandwich come individually boxed and ready to eat! 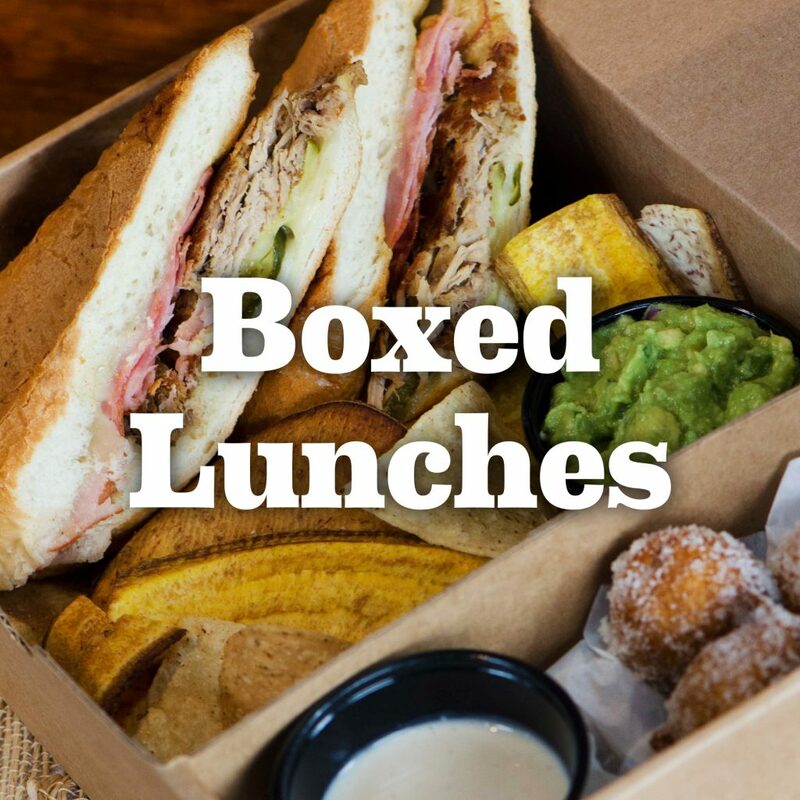 Perfect for office catering, our Boxed Lunches also include a side of chips and guacamole or salsa and our housemade seasonal donuts. Bring your favorite Paladar cocktail flavors to your event! 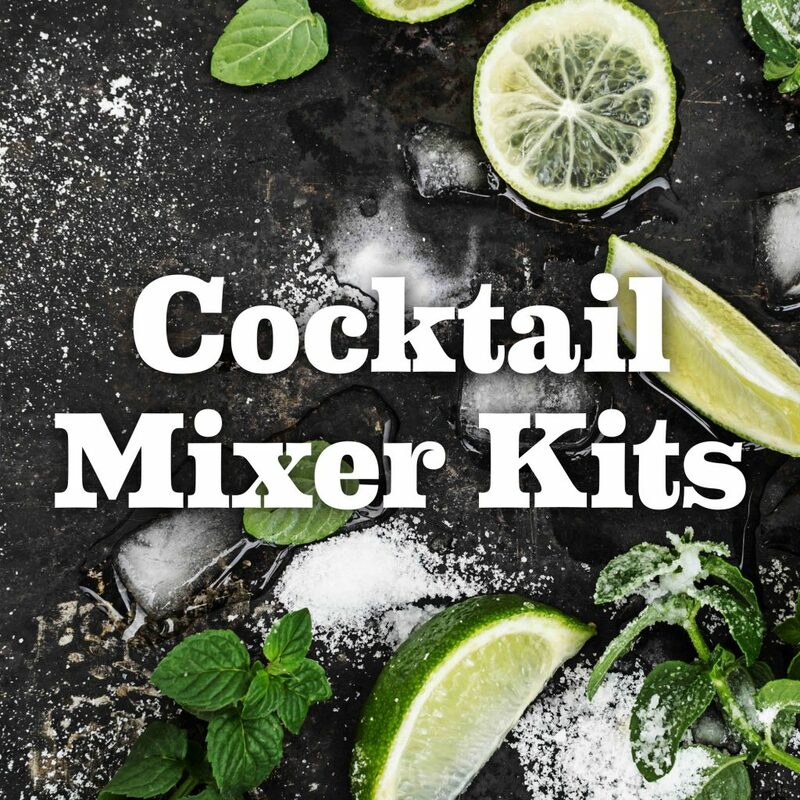 Our mixes produce approximately 40 cocktails per Paladar recipe instructions. Simply add your preferred spirit to the mix. All food is served hot and ready to eat and includes the following: Chafing dishes, chafing fuel, dinner plates, napkins, cups (if drinks are ordered) plastic silverware, serving utensils, and boxes for left-overs. All food is made to order in our scratch kitchen. In order to serve the highest quality food possible, please provide us with at least 24-hour advance notice for your order. Food Safety: All food is packaged at the required temperatures for food safety. All cold food should remain at or below 40 degrees and hot food above 140. This is for both optimal taste and food safety. All food should be consumed, stored, or discarded within four hours of drop off. We’d be honored to be part of your event. Allow our team to do the work for you, so you can spend more time with your guests! We’ll set up the entire event, serve your guests and even do the dishes before we leave (you won’t even know you had a party the next day)! A fee of $125/staff member for the first four hours of your event includes one hour of set up time and one hour cleanup ($30 will be charged for each additional hour). Staffing levels are determined the number of guests in attendance. In order to assure proper staffing levels for your event we ask that you provide us with at least two weeks advance notice. Food can be prepared at Paladar prior to arriving, or we’re happy to do the cooking at your place. Our chefs love to try out new grills! All food is served hot & ready to eat and comes with the following: Chafing dishes, chafing fuel, dinner plates, napkins, cups (if drinks are ordered), plastic silverware, serving utensils, and left-over boxes. Equipment Rental: We work with local party vendors to provide anything you need to make your event a success and can provide tables, chairs, bars, lighting, dinnerware, flatware, linens, etc. with advance notice. Guest Count: We kindly ask that you provide us with your final guest count 72 hours before your event. This number will be considered final and charges will be made accordingly. If we don’t receive an update, the guest count from your agreement will be considered final. We’d love to bring our Paladar Taco Tent to your event! We’ll serve our tacos fresh off our portable plancha grill and hand-craft our legendary made-to-order guacamole, all while entertaining your group. 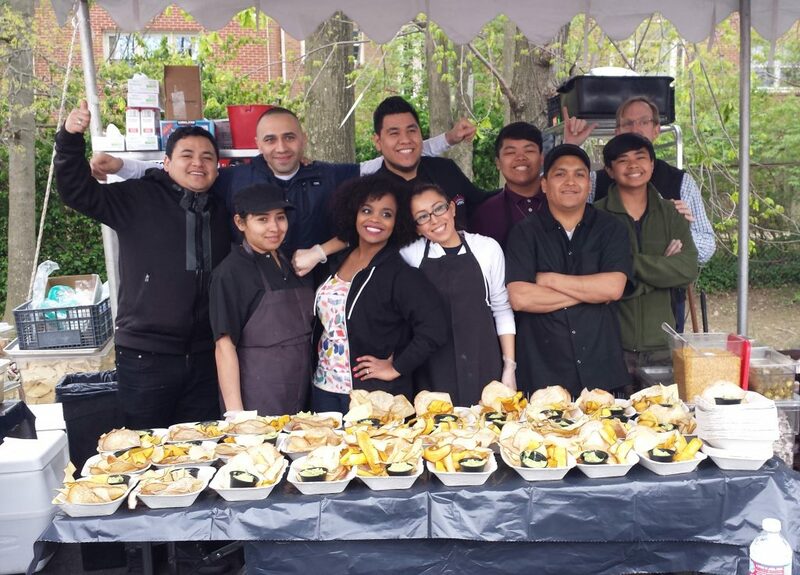 A 30-person minimum is required to schedule our Taco Tent at your event. Ready to get started? Fill out our event inquiry form below!